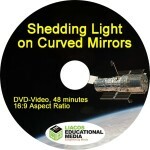 In Shedding Light on Curved Mirrors (30 minutes), presenter Spiro Liacos uses clear, real-life examples and superb animations to explain how and why convex and concave mirrors are so useful. Following a brief recap on reflection in flat mirrors, Spiro shows how convex mirrors are used in a wide variety of safety applications. 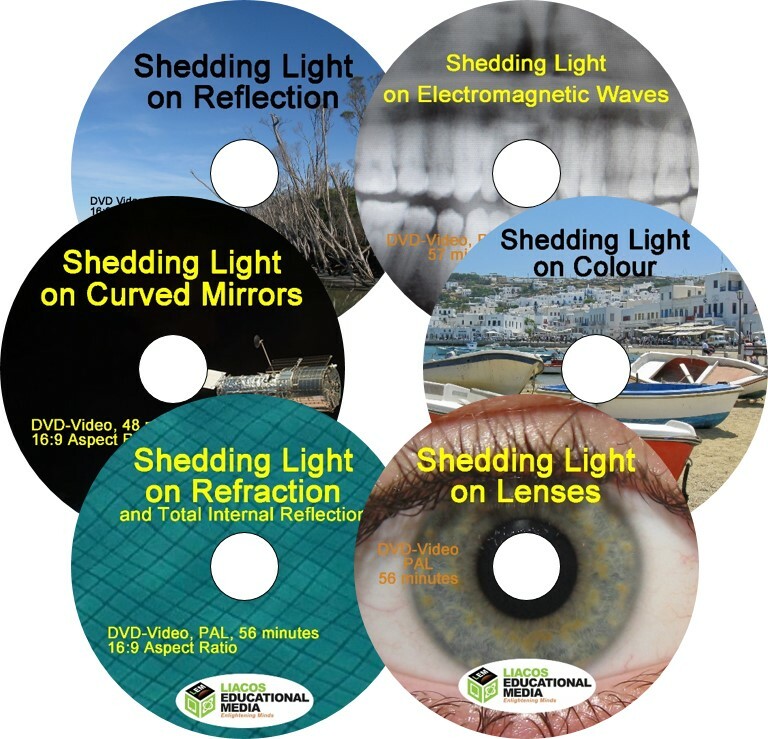 He then describes how concave mirrors produce images, and explains the uses of concave reflectors in things like headlights, satellite dishes and solar cookers. The program comes with a set of excellent practical activities and question sheets which keep students engaged in their learning for multiple lessons. 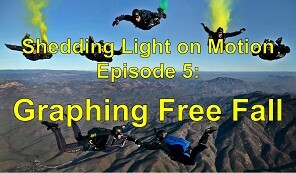 The preview video below contains a two-minute trailer followed by a five-minute excerpt. 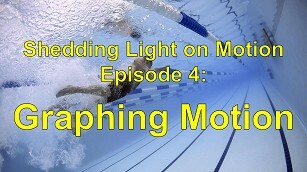 BONUS FEATURE 2 (7 minutes): Using the Mirror’s Focal Point to Draw Ray Diagrams. 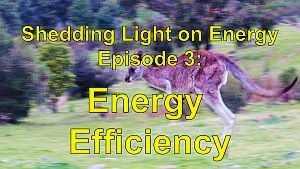 The following 4 files relate to Bonus Feature 1 – Solar Reflectors, which in fact can also be viewed by clicking the link. 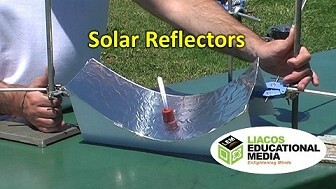 The practical activity “Linear Parabolic Solar Reflectors” shows students how to build the parabolic reflector. The two Parabolas worksheets give students some practice in some of the Maths involved. The images shown below are screen grabs from the program and the text is more or less a transcript of the program. Curved Mirrors. They come in two varieties: convex and concave. These kinds of mirrors are everywhere and they’ve transformed our lives. Unlike flat mirrors, which produce images the same size as the actual object, curved mirrors can produce magnified images and diminished images (that is images which are smaller than the actual object). But they can also do more! 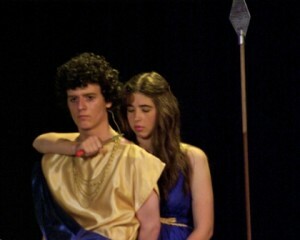 But before we go further, a quick recap. 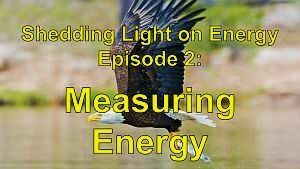 In the Shedding Light on Reflection video, we saw how light rays reflect such that the angle of reflection is equal to the angle of incidence. The angles are always measured between the light ray and the so-called normal, an imaginary line at right angles to the mirror. In a flat mirror, light rays coming from an object reflect in such a way that they all appear to be coming from a specific place behind the mirror. This is where the image is located. In flat mirrors, the image is the same distance behind the mirror as the object is in front of the mirror. When we look at things in a mirror, our eyes point towards a location that is somewhere behind the mirror. Even though no light is coming from behind the mirror, the light reflecting from the mirror makes it look as if something is there. The image is called a virtual image. Curved mirrors also reflect light in such a way that an image forms, but because they’re curved, the light rays obviously don’t reflect off them in the same way they do when they reflect off a flat mirror. So how do these types of mirrors produce images, and how exactly are they useful? 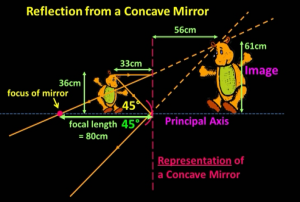 Well, let’s have a look at convex and concave mirrors in a little more detail. 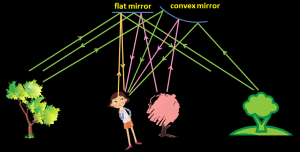 Convex mirrors are mirrors which curve outwards. 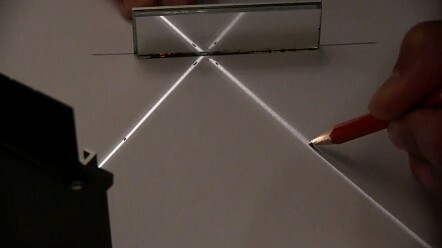 When parallel light rays strike a flat mirror, the reflected rays are all still parallel. 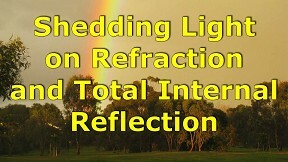 But when light rays strike a convex mirror, the reflected rays spread out. Like flat mirrors, convex mirrors also produce images which are virtual, upright, front-back inverted, and laterally inverted. An obvious difference though is that the images are smaller than the objects are in real life. The outwards curve of the convex mirror also results in a wider so-called field of view. 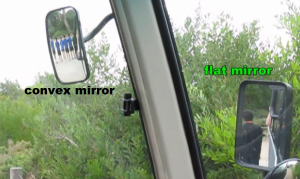 In the convex mirror, we can see a large part of the landscape because everything is shrunk down in size, whereas in the flat mirror, we can only see the tops of a few trees. Another way of thinking about it is, if you’re looking into a flat mirror, only a narrow range of light beams can reach you. Light coming from the sides won’t reflect from the mirror into your eyes. If you’re standing in front of a convex mirror though, because of its curved shape, light from a wide angle can reach your eyes. 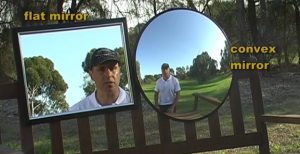 For this reason, convex mirrors are used as safety mirrors wherever you might need a larger field of view. Some are used to allow drivers coming out of a driveway to see any pedestrians on the footpath before the car reaches the footpath. Convex mirrors are also used in carparks, in hospital corridors, offices, shops, at train stations, and many, many other places. 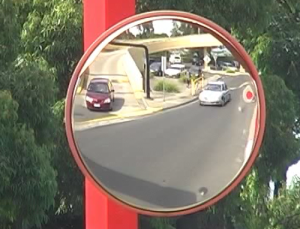 Convex mirrors are often used in side-view mirrors on cars, because they allow you to see a wider view of the road behind you. In the flat mirror of this minibus, you can see only one person. In the convex mirror though, you can see six people. When driving, the convex mirror gives you a wider view of the road. Many, if not most, trucks, vans, and buses have, on both the driver side and the non-driver side, both flat mirrors and convex mirrors. 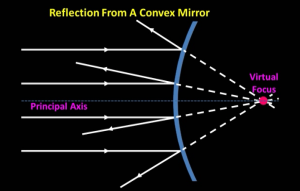 We can use ray diagrams to work out why convex mirrors produce diminished images. Now because the image is smaller, everything seems to be further away, but in fact this is just an illusion. As you can see from the ray diagram, the image of the racket is a shorter distance behind the mirror than the actual racket is in front of the mirror. It just appears further away (or further back) because it’s so much smaller. Concave mirrors are mirrors which curve inwards. The word concave comes from the Latin word “cavus” which means hollow and it’s also where the words cave, cavity and carve come from. So it should be easy to remember which is a concave mirror and which is a convex mirror. 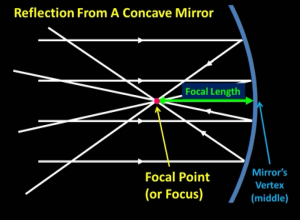 Unlike convex mirrors which reflect parallel light rays outwards, concave mirrors reflect parallel light rays inwards towards a focus. The distance of this focal point to the so-called vertex of the mirror is called the focal length. Concave mirrors produce two types of images depending on how far the object is from the mirror. 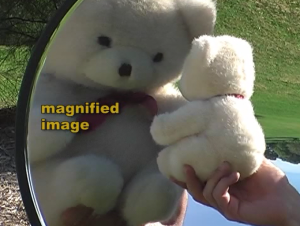 For objects that are close to the mirror, specifically, when they are closer than the mirror’s focus point, the image is magnified and upright. So-called shaving mirrors are concave mirrors. They allow you to see a magnified image of your face after you’ve shaved. Make up mirrors are also concave. The magnified image allows you to see if everything’s been applied properly. Dentists sometimes use concave mirrors to see a magnified image of your teeth. When the object is far from the concave mirror, specifically, when it’s further than the focal point, like the trees, the path, and me, a whole new type of image is produced. 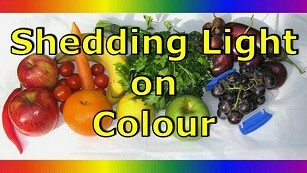 This type of image is called a real image because you can project it onto a screen. The light rays coming from the scene all reflect in such a way that the light is focused on the same side of the mirror as the object, but the image is upside down, and, in this case diminished, that is smaller than the object. Placing a screen of some sort at this position will allow you to see the image on the screen, because reflected light is illuminating the screen. Many astronomical telescopes, especially the bigger ones, use large concave mirrors, and smaller secondary mirrors, to capture light from distant stars and planets and to then focus it onto cameras which can then take pictures. 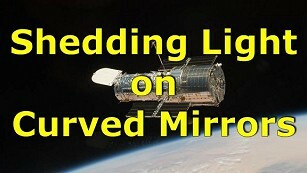 Because they use mirrors, these kinds of telescopes are called reflecting telescopes. Now, not all telescopes use mirrors. Many use lenses. Telescopes that only use lenses to focus light are called “Refracting telescopes”. Refracting telescopes certainly work very well, but, generally speaking, the more light you can capture from distant objects like stars and galaxies, the better your photos will be, and to capture lots of light, it’s much, much easier to build a big mirror than it is to build a big lens. For this reason, most high-end research in the field of astronomy is carried out by reflecting telescopes. 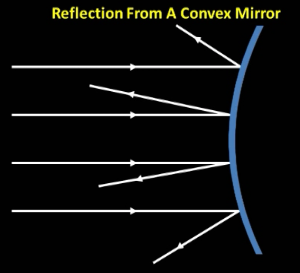 A concave reflector has the same shape as a concave mirror, but its main role is to focus light or radio waves. This concave satellite dish is designed to reflect all the invisible radio waves coming from a satellite in space to its focus point where an antenna is placed. 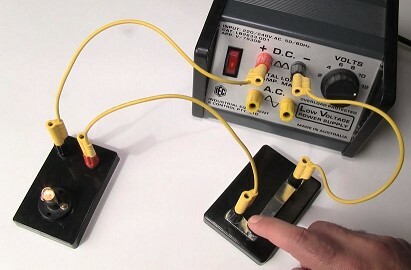 The concentrated signal from the satellite can then be picked up by the antenna, and from there, wires take the signal away to be processed. Satellite Dishes all have different designs but all of them work in much the same way. When the antenna is placed at a point on the dish’s principal axis, it’s often called a prime-focus dish or a prime-focus dish antenna. 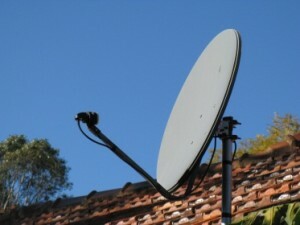 These types of dish antennas are called offset dishes or offset-dish antennas. The radio waves come in, reflect off the carefully shaped dish and focus at the antenna which is offset or to the side of the dish’s principal axis. 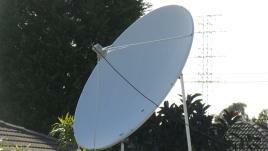 The dish itself doesn’t point directly towards the satellite. The advantage of this arrangement is that the antenna doesn’t block any of the radio waves coming from space, so it’s a little more efficient. The disadvantage is that it’s much harder to design and make an offset dish because its shape isn’t symmetrical in every direction. To get an accurate focal point, the curvature in the vertical direction is different to the curvature in the horizontal direction. 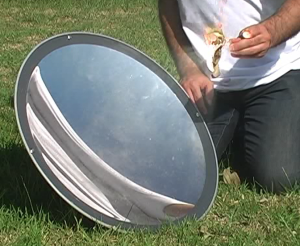 Concave mirrors can also be used to concentrate sunlight. If the mirror is facing the sun, the point where the reflected rays focus gets really, really hot. 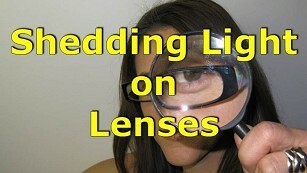 A magnifying glass, can focus light, too, and you may have used one to focus light to a tiny point on a piece of paper. But only a small amount of sunlight is concentrated. A large mirror can reflect and focus a lot more light than a lens, so it can have a more useful heating effect. 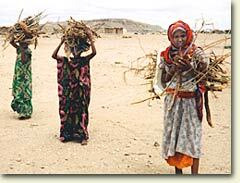 In certain parts of the world where electricity isn’t readily available and people, most often women, have to carry fire wood long distances to their homes, concave reflectors are being used to concentrate sunlight to cook food and to kill any germs in the water which is drawn from a well. 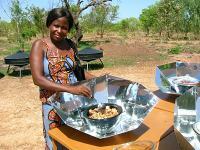 These solar cookers are making a huge difference in these communities. Concave reflectors don’t just focus incoming rays; they can also focus outgoing rays! Many satellite antennas don’t just receive, they transmit. 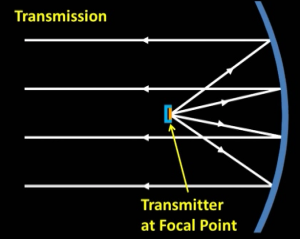 The invisible radio waves spread out from the transmitter, hit the reflector and then reflect back out more or less parallel to each other in a fairly tight beam. Transmitting dish antennas are used for example by telecommunications companies to send signals up to satellites which then beam the signal back down to another part of the planet. Most satellite dishes you see on people’s rooves are not transmitting dish antennas. If the radio waves weren’t concentrated into a beam, they would spread out too much, so high-quality communication using these radio waves would only be possible over short distances of maybe a few tens of kilometres or so, or the transmitters would have to be hundreds of times more powerful. The actual satellites have a wide variety of designs depending on how far they are from the earth’s surface and the type of signals that they transmit and receive. Most communication satellites, which allow us to see live broadcasts of, say, sporting events like the Olympics and other news events, are placed in what’s called a geostationary orbit, where they orbit at exactly the same rate as the earth turns, that is once every 24 hours. 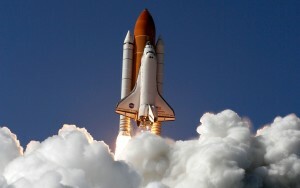 To achieve this orbit, they have to reach a height of about 36,000km above the earth’s surface. Placing communication satellites in this orbit means that they always appear to be in the same part of the sky, so you don’t have to keep moving your dish antenna around to track them. 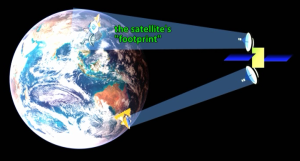 Of course, the beam from a satellite does spread out a little, which is a good thing, because that way, back on earth, dish antennas over a fairly wide area, called the satellite’s footprint, can then receive the signal. This picture which is not to scale shows a satellite transmitting to a wide area of Eastern Asia. Other satellites, like military spy satellites, and weather satellites orbit only a few hundreds of kilometres above the earth’s surface, in what’s called Low Earth orbit. The International Space Station orbits every 90 minutes at a height of about 400km above the earth’s surface. It has a number of satellite dishes. 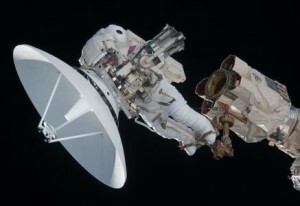 This photo shows an astronaut installing one. Space probes sent to other planets have them as did the spacecraft that took the astronauts to the moon. Even the lunar rover had one. Concave reflectors are also used in many ground-based communication systems, for example to send information between mobile phone towers or from building to building. And, TV stations send live broadcasts from their mobile units to the studio using a transmitter placed at the focal point of a concave reflector. But concave reflectors aren’t just used for communications. Torches, or flashlights, also make use of concave reflectors. The torch’s light globe sits at the concave reflector’s focal point. 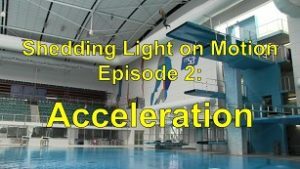 Any light travelling backwards, ends up shining forwards in a tight beam, while the light shining forwards spreads out to illuminate the surroundings. Headlights on cars use concave reflectors, too. The globe is again placed at the focal point of a concave reflector just like it is in a torch, and the light comes out in a fairly concentrated beam. But headlights go one step further than torches. 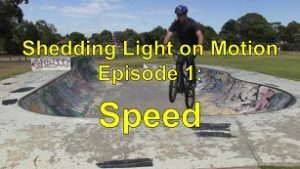 To stop forward-moving light from spreading out too much, an additional reflector is often used to reflect this light back towards the concave reflector, so that even more light then ends up shining more-or-less directly forward. The headlight, of course, is designed to allow the light to spread out a little so that it illuminates a fair amount of the road ahead. The actual lamps themselves aren’t really all that bright, but of course they seem really bright when all the light is being focused into a tight beam. Of course, you don’t always need a perfectly focused beam. Downlights, outdoor lights, street lights and lights in car parks and sports fields all use concave reflectors to shine light into a particular direction, but they’re designed to allow the light to spread out over a wide area, while ensuring that very little light ends up shining in a direction where it’s not needed, like into the sky for example. Bar heaters also make use of concave reflectors, because the infrared light that they produce (or the radiant heat as it’s often called), also reflects. Part E: Linear Concave and Linear Convex Mirrors. Linear convex mirrors and linear concave mirrors are used in fun-house mirrors. Because they curve in only one direction they can magnify an object in, for example, the vertical direction but not in horizontal direction. Numerous examples are given. 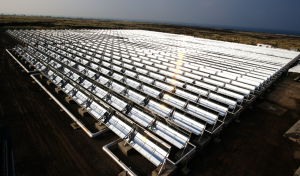 Linear concave mirrors, or reflectors are also used in, for example, some types of solar power plants. 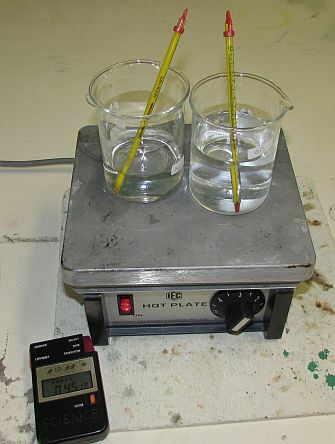 The reflectors are used to heat oil to a really high temperature. The hot oil is then used to boil water. The high-pressure steam then turns a turbine connected to a generator which produces electricity. Concave mirrors and reflectors used in, say, telescopes, or satellite dishes aren’t just any old curved shape and the curve they trace out isn’t circular. In fact concave reflectors curve in the shape of what we call a “parabola”. Only a parabola can focus incoming light beams to a definite focal point. Circular reflectors kind of focus the light, but not really all that well. 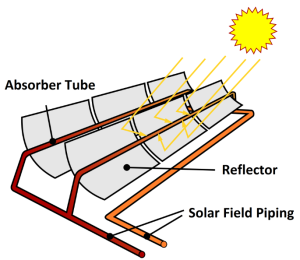 The remainder of this section looks at the mathematics of parabolas and finishes with a practical exercise where students construct a solar hot water heater. View this entire bonus feature on our Solar Reflectors page. 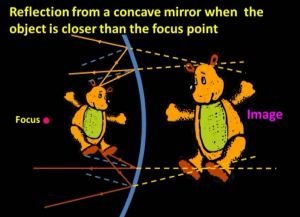 BONUS FEATURE 2: Using the Mirror’s Focal Point to Draw Ray Diagrams. Now we’ve already used ray diagrams to work out why a convex mirror produces a diminished image. Another way to draw a ray diagram is to use the virtual-focus method. Light rays traveling towards the convex mirror parallel to what we call the mirror’s “principal axis” don’t just reflect such that the angles of reflection equal the angles of incidence. The mirror is shaped so that the light rays spread out in a way that makes them appear to have come from a specific point behind the mirror. This point is called the mirror’s “virtual focus”. The light ray travelling parallel to the principal axis from the racket head will reflect as if it’s coming from the virtual focus. 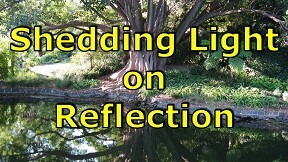 The light ray, striking the exact centre of the mirror, will reflect downwards at the same angle, since the angle of incidence equals the angle of reflection. In this case, the angles are both 28 degrees. By tracing the light back, we can see where the racquet head will appear. Now since we conveniently placed the bottom of the handle on the Principal axis, we know that the image of the handle will also appear on the Principal axis and it will be directly below the racquet head. Once again, we can see that the image is smaller than the actual object. Now what about the images produced by concave mirrors? We can also use the focus method to calculate where the image will appear, similar to the method we used for convex mirrors. A light ray travelling parallel to the mirror’s principal axis will reflect back towards the focus of the mirror, so that it appears to be coming from somewhere back here. A light ray that hits the vertex of the mirror will reflect downwards such that the angle of reflection equals the angle of incidence, in this case 45 degrees. If we trace this reflected light ray back, we can see where the image of the teddy’s head will form. 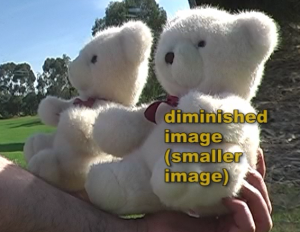 Once again, since we’ve conveniently placed the teddy’s feet along the principal axis, this is where the magnified and upright image of the whole teddy bear will appear. A quick word about magnification! In everyday use, “magnification” means making something bigger. 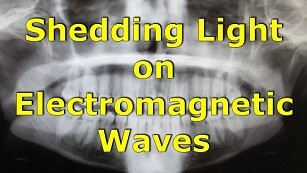 A magnified image is one which is larger. 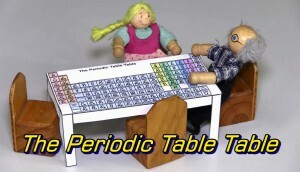 However, in scientific use, magnification can be less than 1! An image with a “magnification” of 0.5 is half the size of the object. Many scientists and engineers might prefer to use the word “enlarged” over “magnified” when the magnification is greater than 1. 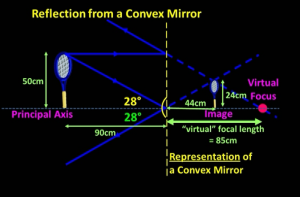 The video finishes with a brief explanation of why images in convex mirrors appear distorted. Holaniku.png (http://commons.wikimedia.org/wiki/File:Holaniku.png) by Xklaim is licensed under CC BY-SA 3.0.
by kjkolb is licenced under CC BY 2.5. Smallsketch.jpg (http://commons.wikimedia.org/wiki/File:Smallsketch.jpg) by www.TRECers.net is licensed under cc-by-sa-25. Do you need more information? Do you want to look at the answers to the worksheets? Feel free to contact us! Do You Wish to Request Answers? 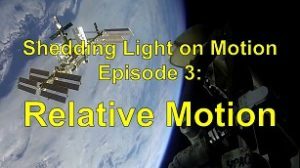 Motion Answers Please send me the answers to the Shedding Light on Motion worksheets. 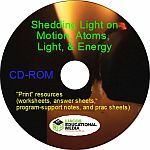 Light Answers Please send me the answers to the Shedding Light on Light worksheets. 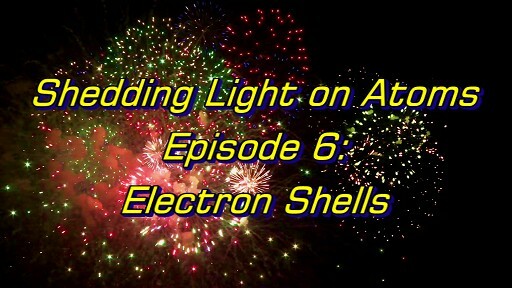 Atoms Answers Please send me the answers to the Shedding Light on Atoms worksheets. 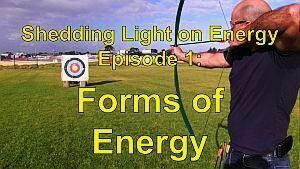 Energy Answers Please send me the answers to the Shedding Light on Energy worksheets. Heat Answers Please send me the answers to the Shedding Light on Heat worksheets.